Zurik Healthcare Institute is a provider of healthcare training programs based in Flossmoor, Illinois. 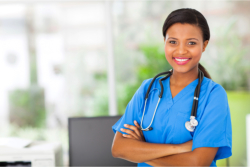 We offer programs and courses of instruction approved of the Illinois Board of Higher Education specifically for training Certified Nursing Assistants and Phlebotomy Technicians. Zurik Healthcare Institute is an equal opportunity employer and provider of educational training programs for health care professionals. Conforming to Title VI of the Civil Rights Act of 1964, the company protects employees and clients from unlawful discrimination against race, color, sexual orientation, age, disability, gender, religion, national origin, ancestry or ethnic background.